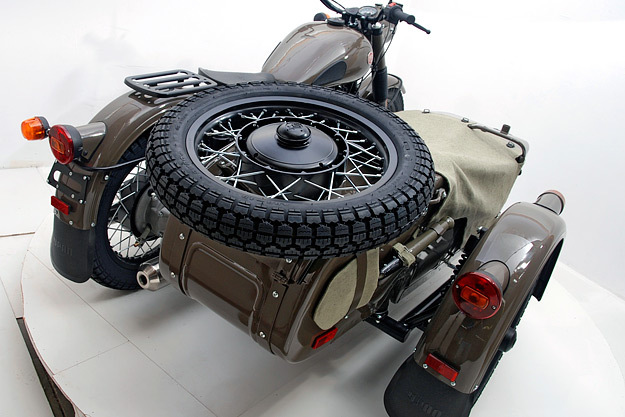 We’ve been wooed before by the analog good looks of Ural motorcycles (such as the the Ural sT), and the Russian brand is now releasing a special edition motorcycle to celebrate its 70 years in the market. 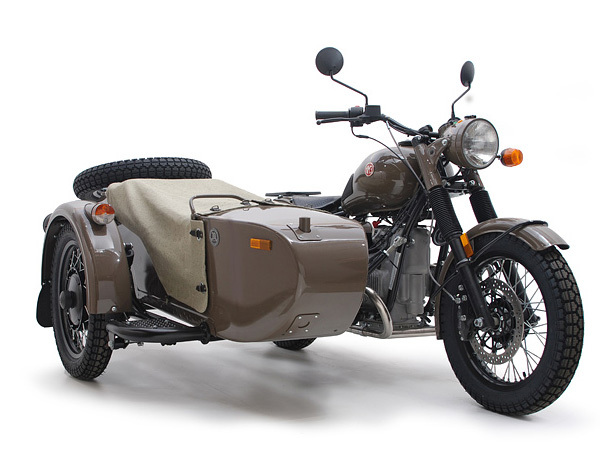 Like the limited edition Ural Taiga, the M70 comes loaded with equipment to survive a general apocalypse — sidecar, spare wheel, canvas tonneau cover, wooden floor mat and shovel all come standard. 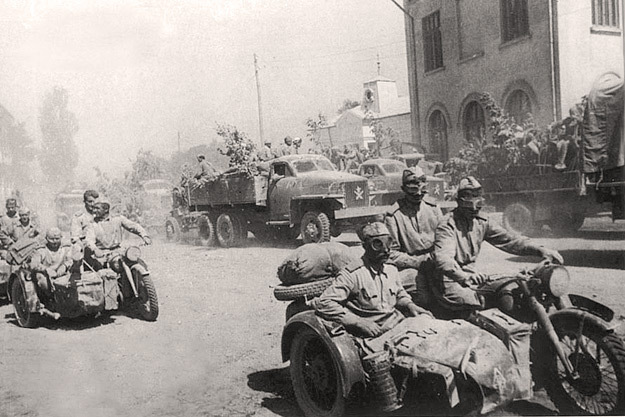 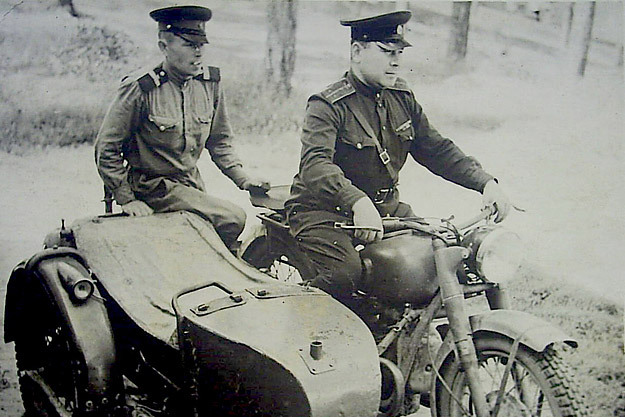 As does the machine gun mount, a nod to Ural’s military past. 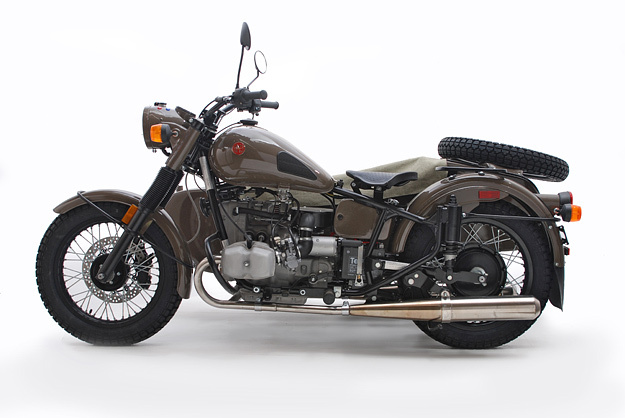 In fact the new M70 is a tribute to the M72 military motorcycle used in WWII, and thus only comes in olive drab livery. 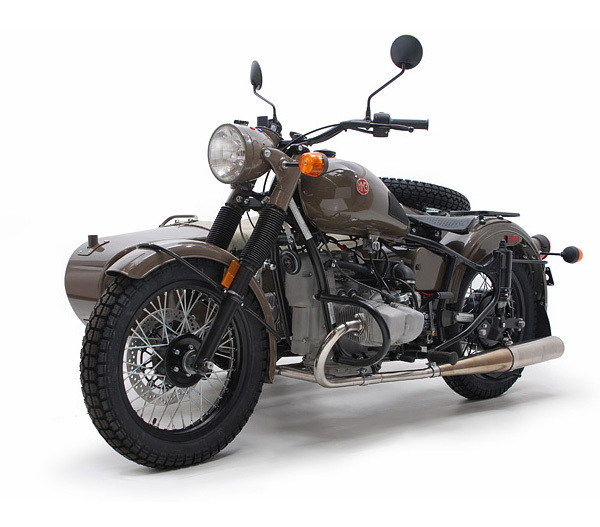 But don’t think the bike is a complete dinosaur — the M70 has been updated with modern componenents such as Marzocchi forks, Sachs shocks and Brembo brakes. 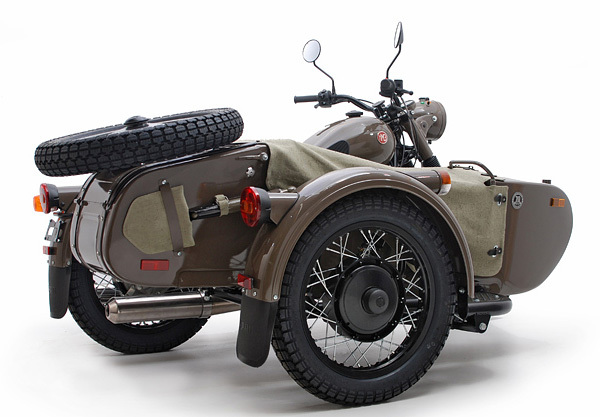 Get your very own Russian military motorcycle (with sidecar, naturally) for $14,200.